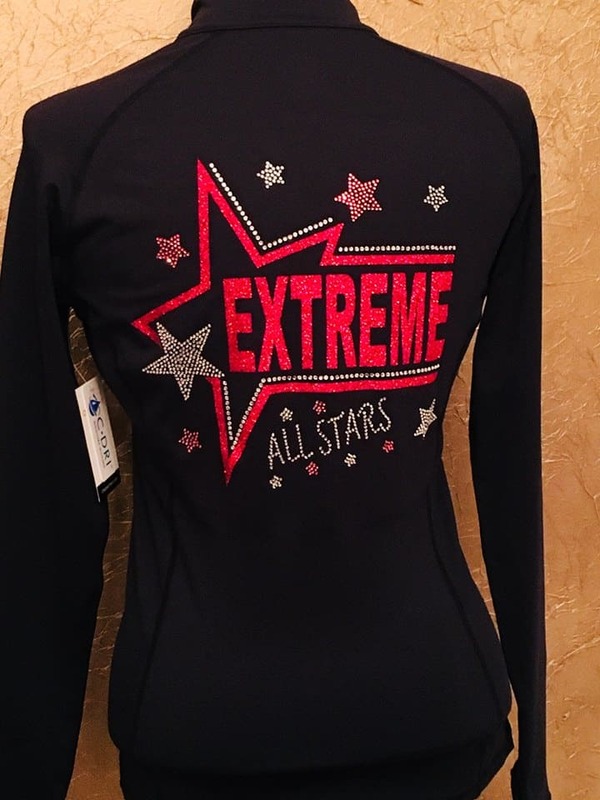 All Star Cheer Teams move at a fast pace, with high energy and need all the right apparel to help them be the best they can be for their team, while having fun and radiating confidence! 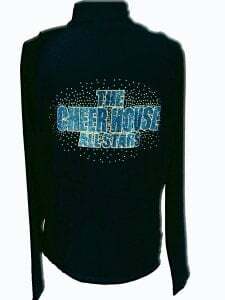 Custom all star cheer jackets from Crystallized Couture is the best option for making your cheer team to sparkle and outshine your competition with rhinestones, sequin’s or glitter. We can find the right cheer jackets and warm-ups for your team to meet your aesthetic needs as well as budget. We licensed with many cheer apparel distributors to get the perfect warm-up for you. Ask about discounts for your cheer jackets and warm-ups of 15 or more. We love cheer teams and want to help them as much as possible, as well as partner with them for many years to come. By giving cheer teams money back right away, they are able to invest into the team further for other apparel, competitions, or camps to help the team get better. We also have a referral program to continue saving you money on warm ups to benefit the team.